There is so much to see and do in Washington, DC that you can’t see it all in just one visit. A well-rounded trip should include exploring the National Mall and some other activities too! Here are some tips to help you get around the popular attractions and some suggestions of fun and more relaxing things to do in the region. 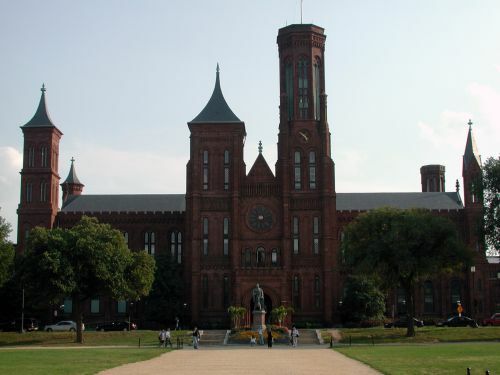 Start at the Smithsonian Institution Building where you can pick up a map and information on all of the museums. These national treasures cover a wide range of subjects from art to space exploration. Plan to explore those you are most interested in, but don’t try to see everything at once. Be sure to save time to see an IMAX movie at the Natural History Museum or the National Air and Space Museum. Our national monuments are truly spectacular. The best time to see them is at night when they are illuminated, less crowded and parking is easier. During daytime visits, take a tour bus. Listen to informative park ranger talks and you won’t have to negotiate congested city traffic. Explore the U.S. Capitol Building, the White House and the U.S. Supreme Court and you will gain a fuller understanding of the division of power within our democratic government. Plan ahead and note that some tours must be scheduled in advance through your Congressional Representative. Georgetown is the capital’s historic waterfront that today is bustling with activity. The area is a shopper’s paradise and the streets are lined with restaurants of every nationality. Take a tour of historic sites, do some shopping and enjoy a meal at a local restaurant. The Washington DC region is lucky to have wonderful bike trails. Jump on a bicycle and you’ll quickly feel a relief from hectic city life. Take the whole family and explore the historic C & O Canal. Live theatrical productions at the John F. Kennedy Center for Performing Arts are entertainment at its finest. Purchase tickets in advance for performances ranging from musicals to concerts by the National Symphony or see a free show at the Millennium Stage. Listen to all types of music at this national park dedicated to the performing arts. Outdoor concerts are featured in the summer and indoor performances are held the rest of the year. The park is located in Vienna, Virginia, just 20 minutes from Washington, DC. Take a picnic and enjoy spectacular views of the Potomac River at this 800 acre park, located just 14 miles from Washington DC. With the recent addition of the new museum and education center, Mount Vernon is now a full day excursion. Explore the state of the art galleries and theaters, visit the 500-acre estate of George Washington and his family, tour the 14-room mansion that is beautifully restored and furnished with original objects dating back to the 1740's. Be sure to plan enough time to tour the outbuildings, including the kitchen, slave quarters, smokehouse, coach house and stables. The estate is located in Northern Virginia, just minutes from Washington, DC. Explore a quaint historic town just over the Potomac River from Washington, DC. Visit colonial houses, churches, and museums and shop for antiques. Looking for more Washington, DC information? Start with the Washington, DC Home Page, where you'll find current features and an in depth guide to everything you want to know about the DC/Capital region.